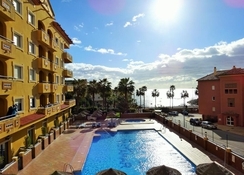 Hotel Vistamar, Benalmadena, boasts a fantastic central location in the sunny Costa Del Sol, just a stone’s throw from multiple family attractions and only a 3-minute walk to the beach! There are plenty of amenities and activities to choose from locally too, for those wanting to venture outside of the resort – stroll down the scenic Paseo Maritimo and you’ll reach the pretty Puerto Marina. 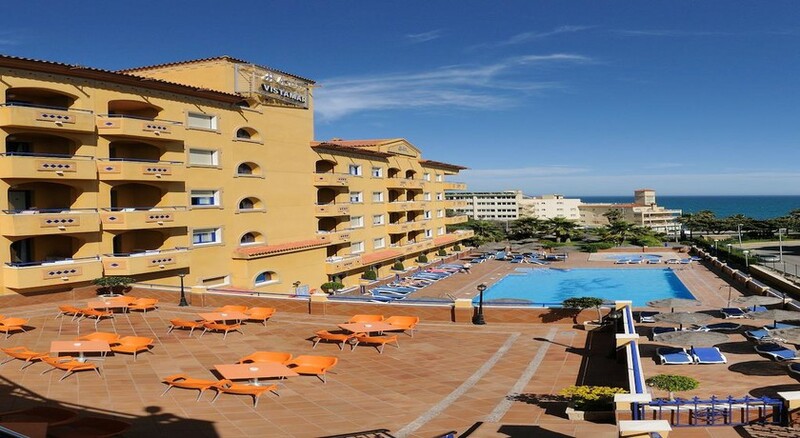 With a choice of air-conditioned, comfortable studio rooms and apartments, an outdoor pool and mini golf course, Hotel Vistamar has all the comforts to make for a relaxing, budget-friendly holiday in the sun for families and couples alike. 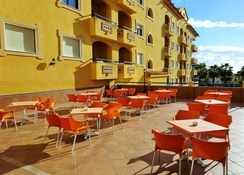 Conveniently situated just 18km (20 mins) from Malaga airport, Hotel Vistamar has an abundance of tourist attractions to visit close by, including Sea Life Aquarium, Selwo Marina, beach watersports, the famous Puerto Marina (which is one of the largest marinas in Europe) and a casino to name just a few. The hotel is centrally located in Benalmadena with easy access to a multitude of bars, restaurants and shops along the seafront. Guests can enjoy a stroll along the Paseo Maritimo promenade or soak up the Mediterranean rays on the sandy beach - making this the ideal choice for those longing for complete relaxation. The Hotel Vistamar features a mixture of clean, air-conditioned Studio Rooms and Apartments that are simple, comfortable and welcoming. 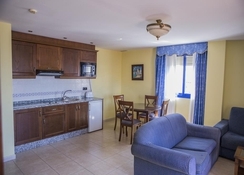 All apartments include a balcony or terrace for your pleasure, a private bathroom, a living room with sofa bed, television and a well-equipped kitchenette with fridge, kettle, toaster, hob and microwave. There is a self-service laundry room offered to guests within the complex. Safe deposit boxes are available. 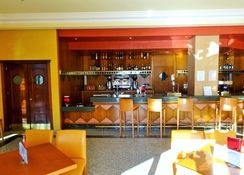 The hotel restaurant serves continental breakfast and a variation of evening meals buffet-style, while lunch is a la carte. There is a lounge bar with a terrace open until midnight offering snacks and drinks. Guests can relax on the poolside loungers or take a dip in the crystal clear water of the swimming pool to cool off. Younger visitors will delight in splashing and paddling in the separate children’s pool. Seasonal entertainment takes place during peak season. Great hotel and location. Receptionist (Maria), catering staff and cleaners were wonderful and accommodating to our every request which an example idietary requirements for our boys. Eleven day stay felt part of the hotel family. Would recommend and will stay again should I visit. Off peak prices were good. Hotel was clean and well furnished, room was also. All amenities required and as expected. Staff were very friendly and helpful. Great views from pool side of hotel and at the quiet end of the strip. Food selection was ok but not great, however was cooked well. Clean and comfortable very happy. Staff very pleasant . Excellent value. Friendly efficient staff.